Participants in our Makers Day Event interacted with student-led and community sponsored maker stations across 4 large spaces including but not limited to: Diesel Shop: ACE the Robot (human sized robot interacting with crowd – made by MCST Student), physics fun (chaos machine, spirograph, spin art, etc. ), making lava lamps, planting native species, ceramics, basketry, glass work, welding, robotics, Arduino, 3D printing, Drones (flying and building), blacksmithing, building bluetooth speakers, thermal imaging, etc. / Library Media Center: creating with LittleBits and Makey Makey, building and geometry with KEVA Planks, CADD demos, 3D Animation, Scratch (and other computer programming stations), blackout poetry, etc. / Culinary Dining room: bread making, lemonade stand (entrepreneurship), food science, food marketing, cake decorating / Art room: screen printing, comic creation, up-cycling art, rainbow loom, henna station, positivity rocks, etc. On Saturday 3/10/18 we created STEAM Passports for visitors to collect stickers when the interacted with a station that related to Science, Technology, Engineering, Art or Math (or some combination of STEAM). Prizes were given for passports that contained at least one of each of the letters. 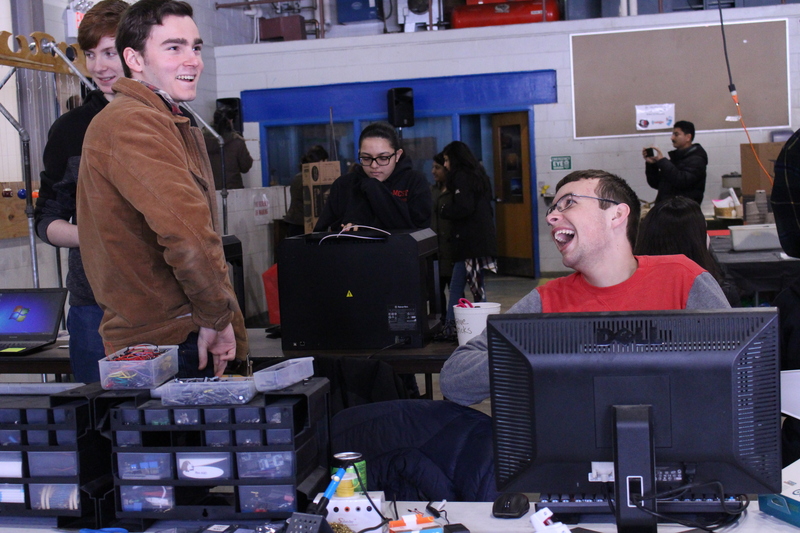 The ultimate goal of our Makers Day event each year is to enhance community engagement and facilitate connections among our CTE programs, community and our industry partners by exploring new and interesting opportunities for collaboration and authentic learning experiences.